One of the largest corporations in SMA has today confirmed they will be leaving the nullsec alliance. Applied Anarchy (ANR-K), formed in July last year following the merger of a number of smaller SMA corporations, cited stagnation and fewer members within the corp logging into play as the primary reason for the departure. The 291-man PvP-focused corp will be joined by fellow SMA corporation Souls of Steel, a 60-man German group in forming a new alliance. 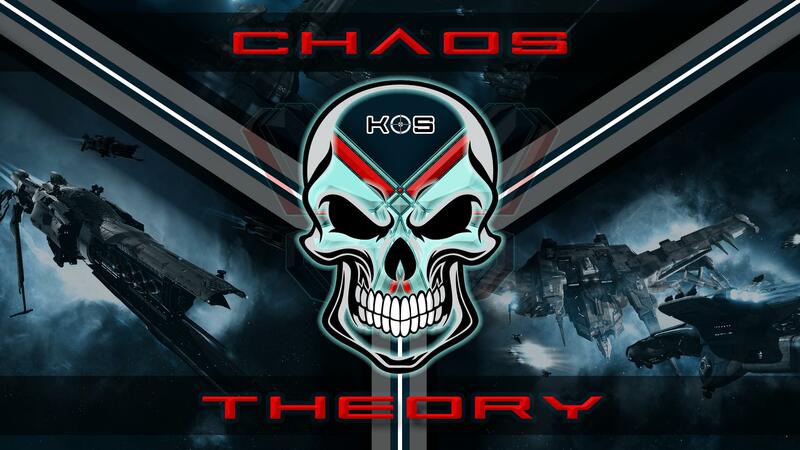 Chaos Theory, the name of the new alliance will not be affiliated with The Imperium. Applied Anarchy first made headlines when titan pilot Rayonar, alt of Ivory Kantenu, was mistakenly purged from SMA and the CFC for being a spy after saying “Reps on Cain” during a fleet. Members of ANR-K attempted to help him to keep the Avatar alive, but were unable to prevent its destruction. During the withdrawal from SMA-held space, members of both Applied Anarchy and Souls of Steel have been warned that any AWOXing or “Blue-fuckery” will not be tolerated. Active poaching of members from other corporations within SMA will also not be tolerated by the leadership of Chaos Theory. However, it is expected that some members will ask to join. While the final destination of the alliance has yet to be confirmed, Chaos Theory are expected to evacuate assets from SMA-held Fade to either NPC nullsec or lowsec over the next few weeks. Speaking to Crossing Zebras, Komo Sunder, former SMA director and now CEO of Chaos Theory said: “Over the past few weeks we’ve seen activity amongst members of both corporations gradually decline. “We are putting this down to the mismatch between the type of content our groups crave and the content available with SMA. “Our aim with this move is to hold no more space than we need to support our members, we do not intend to extend ourselves more than we need to. “The plans for this move have been formulated in close cooperation with directors from both Souls of Steel and Applied Anarchy and the overwhelming positive response from our members have shown this to be the right course of action. Souls of Steel CEO, ToXicPaIN, added: “The reaction from within the corporation has been good, there is a strong desire to do something new in EVE. “We hope that with this move we will have access to much more small and medium sized gang PvP, not dropping an 80-man fleet onto a roaming 10-man gang. “There is too much of a requirement for PvE within SMA at the moment due to the nature of the current aegis sovereignty system. The current sovereignty mechanics require alliances to actively use their space to increase the the Activity Defense Multiplier (ADM). The higher that value is, the longer it takes for an opposing force to capture a system. Increasing and maintaining the ADM has forced some sovereignty-holding alliances to create mining- and NPC-ratting fleets to operate in systems which are not normally considered desirable for that type of activity. In a post on the official SMA forums, director Jensar Antak said: “We are sorry to see them go and wish them the best in their new endeavors. “They will be leaving amicably, and we want Monkeys to respond in a similar manner. “This does not change any of our plans concerning the coming war. SMA will be deploying in force and doing what we do best. 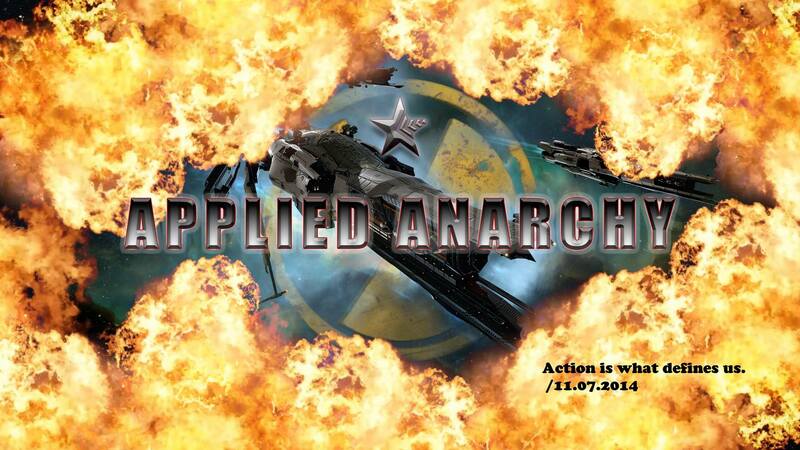 The reaction among SMA members on the alliance’s official forums was generally positive, thanking the members of Applied Anarchy and Souls of Steel for their support and help over the years. In response, Komo Sunder, said: “We have nothing but respect for the members of SMA and appreciate everything they have done for us – everything we have done together. Members of both corporations have been advised that diplomats will assist any members that wish to remain in SMA transfer too new corporations. SMA hold the region of Fade, as well as a number of systems in Pure Blind and in the conflict heavy Cloud Ring, known to locals in the area as Content Ring – due to the large number of competing groups within the region. The loss of senior alliance personnel, as well as two PvP focussed corporations, has the potential to impact on the ability of the group to respond to threats in the region. Syrianna Dragonblight, a bloc-level FC within the Imperium and member of Applied Anarchy is just one of the senior SMA figures leaving. ToXicPaIN, the Souls of Steel CEO, is a member of the group that oversees all capitals, supercapitals and Titans as well as being one of the alliance’s capital FCs. The Imperium deployment announced by The Mittani during a State of The Goonion last night, will see the entirety of the coalition’s forces deployed to Cloud Ring and surrounding lowsec regions. While SMA are expected to continue to run their own fleets as part of the war efforts, the timing of this move, while coincidental will act to counter-balance the departure of the two PvP- focused corporations. Disclaimer: The author of this article is a member of Applied Anarchy.